Experts123: Android vs. iPhone - Which one is the best? Android vs. iPhone - Which one is the best? Within the last 10 years, the mobile phone industry has completely transformed with the introduction of the smart phone. Steve Jobs and Steve Wozniak (the masterminds behind Apple products) started the scramble for the most high tech phone and created the iPhone - a touch screen phone with the Apple software and iPod + iTunes interface. Shortly thereafter, Google partnered with the mobile phone industry and created the Android mobile phone - a phone similar to the iPhone, but with increased usability. With all of the high-tech phone options out there, it's hard to know which one is the hottest right now and which will have the best longevity. From deciding which phone to upgrade to, which smartphone to purchase next, or which phones are offered for your particular service provider, choosing a cell phone can be hard work if you're not completely informed. "Droid!" is the common tag line that most consumers associate with the Google Android line of phones that rival the Apple iPhones. But do they hold up? The Android platform is pushing to over 70,000 users, which still hasn't caught up to the iPhone users. Regardless, the Android is projected to overtake the iPhone because of it's fantastic multi-tasking features which heighten your mobile experience with social networking and music streaming. Android Pros: The Android's multi-tasking feature has a desktop-style multitasking feature like on on a computer. While your apps do continue running, consuming memory, battery and CPU, the Android finds a way to manage the background apps. Undoubtedly the Android tops the iPhone when it comes to social networking and music streaming. With the upcoming Windows 7 Phone, the Android is built around social networking, syncing all of your social networking accounts with your phone's texts and emails. It makes life function much better and saves you time (which without question is the point of owning a smart phone). In regards to music streaming, the Android offers widgets that are incompatible with the iPhone. The widgets make the apps that are available on iPhone even better on the Android. Plus, although there are less apps, they are of a higher quality and cost a lot less than the iPhone. Other Android specs that should be noted are the integration of the Google products and the as-you-type completion suggestions on the keyboard. The iPhone is known for storing words that you consistently spell incorrectly with no way of removing them from the dictionary; Androids have an user-editable dictionary for your keyboard. Most importantly, you are not limited to one carrier with the Android. The iPhone is limited to AT&T which arguably does not have the best service worldwide. With this freedom comes more apps and a full refund of the app purchase within 24 hours. Moreover, the syncing of your calendar and email to the GMail accounts are free whereas on iPhone you have to pay $99/mo for each. Android Cons: It is hard to draw a line and find negative aspects of the Android. To start, it does not look as cool as the iPhone. 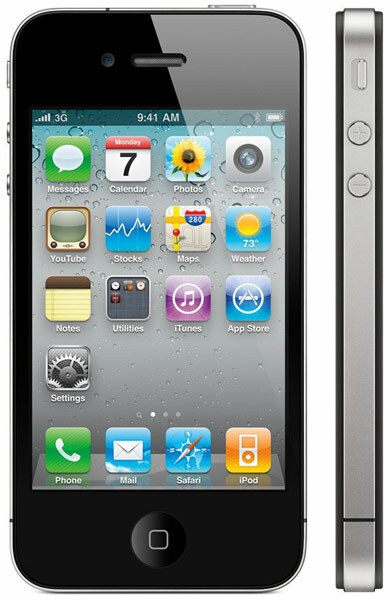 Undoubtedly the design of the iPhone is much more aesthetically appealing. Plus on Android, non-Google software is limited and usually of a lower quality. There has been speculation that the phone is too dependent on your Google account. But let's be honest, even if you don't use a Google account as your primary account, it is still useful (and almost everyone has one regardless). The iPhone is very popular with over 230,000 users almost dependent on the platform. But is the iPhone worth switching your service provider to AT&T with the seemingly fantastic alternative of the Android? Loyal Apple users definitely would have a hard time making the switch because the interfaces are entirely different. Nonetheless, what about the non-Apple users? Is it still worth it to get the iPhone even if you're more accustomed to the Google/Windows software? iPhone Pros: In this competition, the iPhone without question takes the cake in gaming, easy use (for example by a child) and for streaming pictures and video. The iTunes store is easily accessible on the iPhone with an app already downloaded and easy to use. Moreover, the iPhone has infinitely more games that are easy to use and much better. Game developers can know that the iPhone will release a new OS every year or so, remain consistent, and set the bar for other operating systems (at least for the time being). The fact that the Android phone is so versatile actually hurts it in the gaming app industry. The iPhone is known for fun games at reasonable prices (like Angry Birds, Plants vs. Zombies, etc.). Apps like YouTube and other video and photo streaming apps are unquestionably better on the iPhone. The iPhone has better clarity and much better resolution. Plus it's so easy a child can use it. Parents increasingly find that the iPhone is a great pacifier for their young children. This usability factor makes it easy for someone to pick up an iPhone and use it. iPhone Cons: The iPhone really gets a lot of criticism for the lack of a good multi-tasking interface. The iPhone only really offers multi-tasking for Apple-authorized apps, whereas third-party apps do not hold up as well. Apple says that they do this because they are concerned that users do not understand the use of battery life from background applications and don't know how to manage them (which is probably the case with most iPhone users). 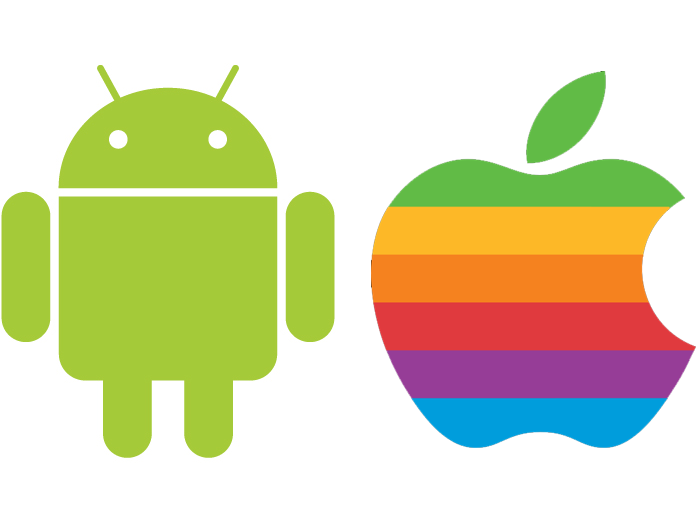 In a similar way that the Mac will never beat out the PC in functionality and popularity, the iPhone will eventually be beat by the Android.